This is the moment Prince Harry spotted an African orphan he spent time with as a teenager among the revellers at Saturday’s royal wedding. 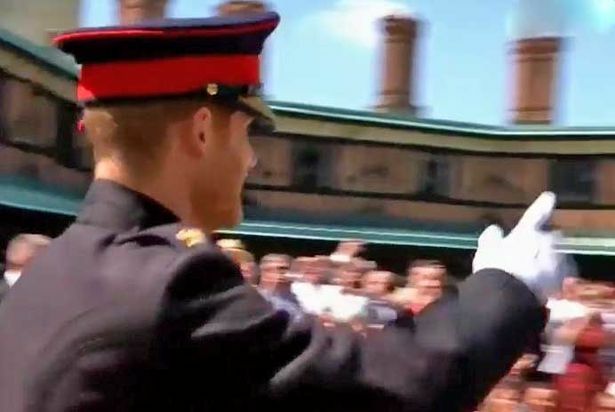 Walking to St. George’s Chapel alongside brother and best man William, the 33-year-old waved to those who had camped outside the grounds of Windsor Castle in order to get a glimpse of the groom prior to his union to Meghan Markle. One of them, dressed in traditional African dress, was Mutsu Potsane, who Harry befriended on a gap year in Lesotho in 2004. The Duke of Sussex is believed to have stayed in touch with Mutsu over the last 14 years. He know goes by the name Relebohile. Images from last decade show the pair walking around hand-in-hand. 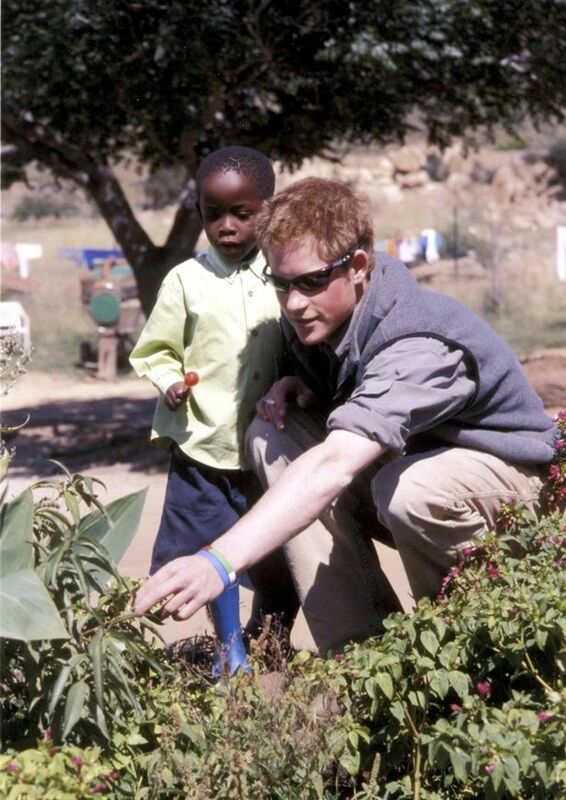 In 2006, Harry co-founded Sentebale with Lesotho’s Prince Seeiso, a charity working to combat the spread of HIV. A topic very close to both. Lesotho currently had the world’s second-highest rate of HIV. Potsane was one of 200 representatives from different charities the Royals run across the globe, who attended the wedding at Windsor Castle, the Mirror reports. He’s a bit shy now, but he’s doing really well. 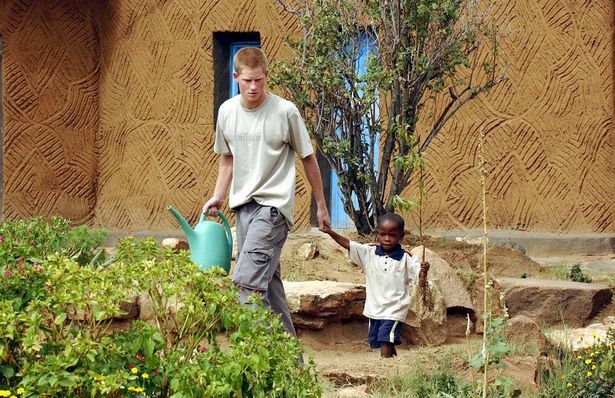 Congratulations to the new Duke and Duchess of Sussex, from everyone at Sentebale. We were delighted that some of our Lesotho team were able to join in the very special celebrations in Windsor today! The pair were last reunited in 2015 when Harry attended the official opening of a new children’s centre set up by Sentebale. 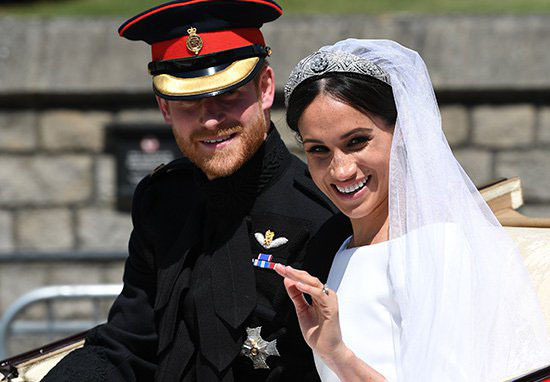 Prince Harry and the now Duchess, Meghan Markle, were pronounced husband and wife at St. George’s Chapel in Windsor Castle in front of family and friends, including The Queen, Prince Phillip, Prince Charles and Camilla Parker-Bowles, as well as co-stars of the show Suits. The ceremony was officiated by the Dean of Windsor, David Conner, and the Archbishop of Canterbury, Justin Welby, who performed the newlyweds’ vows. After being declared husband and wife, Prince Harry and Meghan shared their first kiss in public, as newlyweds, for the whole world to see. During the ceremony, a sermon was given by Reverend Michael Curry of the Episcopal Church in the United States. 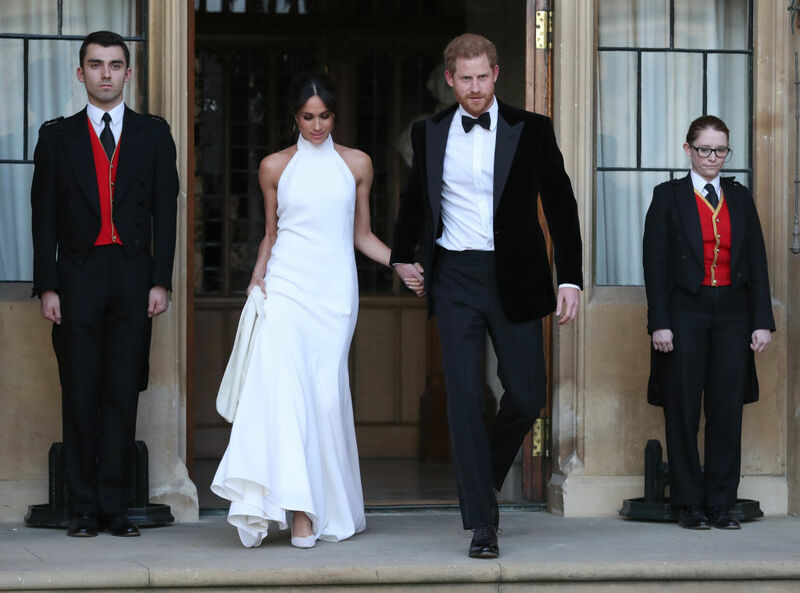 Meghan Markle was walked down the aisle at St. George’s Chapel by Prince Charles after her father, Thomas Markle, was forced to pull out at the last minute due to heart surgery. On the morning of the wedding, Meghan’s mother, Doria Ragland, accompanied her daughter to Windsor Castle along with select members of the wedding party. According to Kensington Palace, the wedding was attended by 600 guests, a modestly small gathering when compared to William and Kate’s, which boasted 1,900 guests. A group of 200 close acquaintances were then invited to an after-party at Frogmore House, a short walk from St George’s Chapel. Meghan’s official fancy title is now the Duchess of Sussex, while Prince Harry is now the Duke of Sussex.